Yes, FREE PLANE TICKETS! 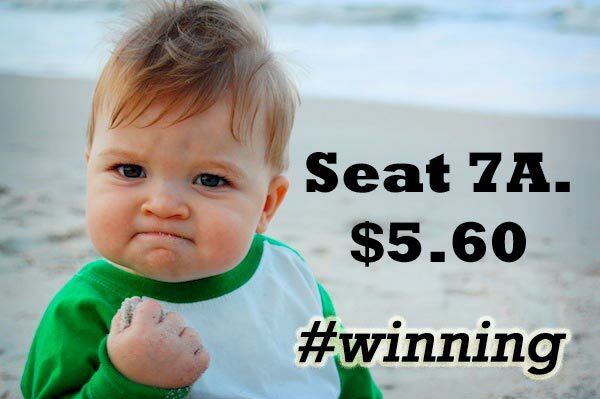 Okay, $5.60. Or $11.20. But when compared to the hundreds of dollars flights normally cost… FREE. If you’re American, you stand to benefit from a ridiculously competitive travel credit card industry. If you’re Australian or Kiwi, check out this site. UK Citizens can read up here. Or just google “travel hacking” + your country! All you have to do is jump through a few hoops. You don’t need to (and shouldn’t!) accumulate any debt to make this happen. It doesn’t matter if you’re dreaming about two weeks in Italy or already have your bag packed for a round-the-world adventure. If you don’t have a credit card earning you miles, get one today. Please, please do not make my mistake of putting this off for years. Don’t let fear of the unknown or your own ignorance stand in your way. It takes 20 minutes to get this organized! A culture and economy dominated by corporations has it’s upsides, hey? Welcome to “travel hacking.” You want to get free airline tickets? Start by getting the best travel credit card for you. Just one. Easy. Update April 2019: Delta just finished their semi-annual double bonus – 60,000K! It’s no longer available publicly, but until May 1, 2019 you can still get the same deal using this Delta Amex Gold link. aIn the past 3 years I’ve done a United Mileage Plus Explorer, a Barclays Arrival Plus, a Delta Sky Miles Amex Gold, then Chase Sapphire Preferred and finally a Chase Sapphire Reserve – which is the top card if you travel regularly and will take advantage of the benefits.. These points are super valuable and easy to get with a $2,000 minimum spend. More below! Which Card Do I Get? How Do I Go Points Crazy? The spending you do within the first three months of opening your best travel credit card is your biggest and fastest free flights opportunity. Be sure to pick a card with an initial spending bonus requirement you can meet, but think outside the box on this one. The biggest bonuses are attached to higher spending requirements. The low end is $1,000 in 90 days, and the high end is $3,000 – $7,500 – also in 90 days. If your life is not in the high dollar category, get creative! How? When I got my first card, two good friends let me charge their car repairs. I picked up the tab as often as possible when out with people, later using the pile of group cash to pay the credit card bill. I kept my ears peeled for friends making high dollar purchases: people traveling, paying for school, etc. If you’re a charmer, you could even pull a Winona Ryder Reality Bites move. bShe hung out at a gas station asking people paying cash to let her charge their purchase to her card. If you have money in savings for a trip (or anything else), go ahead and purchase items you’ll eventually buy anyway. Trip gear is a no brainer; check out this list for items you could buy now. If you’ve been saving for a home improvement project, can you buy some of the supplies? Can you buy gift certificates to places you’ll eventually spend money anyway? If you’re willing to jump through a few more hoops, you can use Plastiq to pay your mortgage, etc. The Travel Sisters explain here. Basics: Plastiq charges a 2.5% fee unless you get involved in their referral scheme (<-which I would recommend!) Otherwise, you’re paying $25 for every $1,000 required to meet the spending bonus. 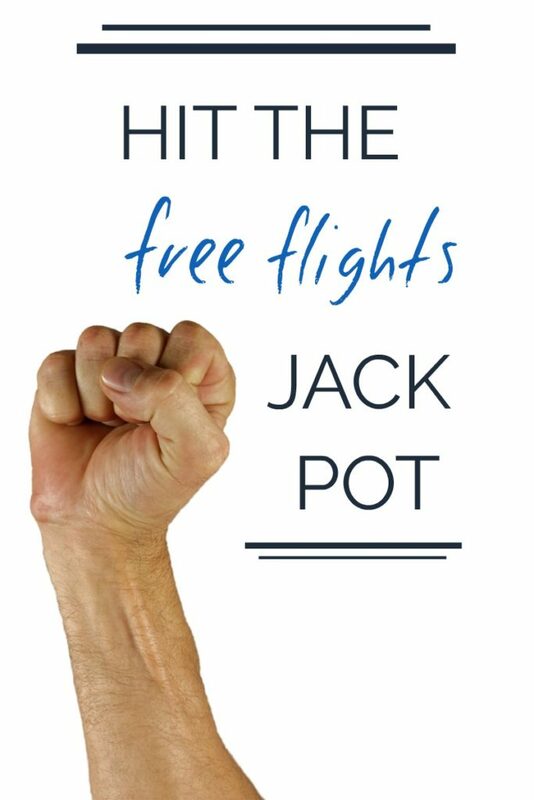 If the money juggling game doesn’t fire you up, spending the unnecessary money isn’t the worst thing when you consider the points lead to free flights. No way, Joe! You’re just getting one card. You can handle that. If you won’t get through all those free flights, it’s not terrible to pay the fee. Think of it as a plane ticket to anywhere for $95. Let me tell you what would be terrible: you waiting until “later” to pick and open the best travel credit card for you. Don’t miss out on all the points you could collect in the interim. If you really can’t stomach an annual fee, fly your friend/sibling/parent/kid to see you or just give someone a super cool gift! I am absolutely not recommending that you start charging your life to a travel credit card to get free plane tickets. They call it travel hacking because you get the benefits without becoming a pawn of the system. The maze of rules will ensnare you and cause you to be the one funding all those free plane tickets if you actually try to use your credit card for credit. I learned a hard lesson on that front. → Option A: Learn to change your financial behavior. People swear by this book. If quick videos are more your speed, check out Felicia’s Wallet. If your lack of money skill is going to keep you from getting free plane tickets, it’s time to get off the sidelines. Go buy the book and make time to read the first fifty pages this weekend. Go watch that 5 min video right now! → Option B: Compare your travel credit card balance and bank balance every day- like checking your email. You can probably even get balance alerts. Make sure your checking account has enough to cover the travel card balance. Keeping an eye on how much you have left to spend will keep you from going over. It will also help you spend less overall, just like tracking what you eat leads to eating less. Travel Hacking is easier than you think! 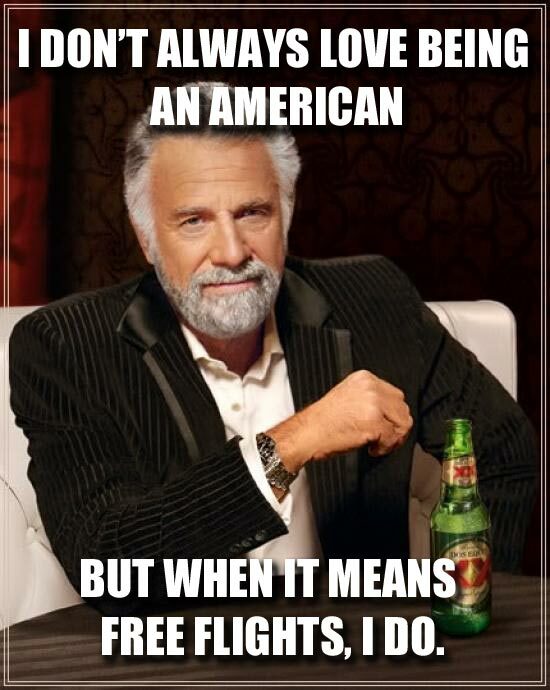 Free flights, you just pay the fees! → No international fees: If you have big travel plans, be sure to get a travel card that will keep you from having to pay an additional 3% fee on every German train ticket, Thailand SCUBA lesson, and New Zealand Skydive you buy. → Insurance: If you’ve read Travel Insurance 101: Do You Need It?, you know about the wide range of bad things that can happen on a trip. Many travel credit cards have built-in insurance that could save you hundreds by replacing the travel insurance policy you’d otherwise buy. Read the fine print and talk to a representative to be sure you’re covered. → Free checked bags: If the best travel credit card for you is airline specific, you’ll be able to avoid baggage fees. For a RTW trip, your bag should be small enough to carry on. But I can see extenuating circumstances (big dude, big clothes) that might warrant checkable luggage. → Ridiculous buyer protection: One travel credit card I got reimburses me up to $1,000 a year if I buy something, don’t want it, and the store won’t take it back. And if I buy something and later find it advertised cheaper elsewhere? They credit the difference up to $2,500 a year. If something I buy gets stolen or damaged within the first six months, they’ll cover up to $10,000 an item and $50,000 a year. Insane. Clearly these companies are making mad scrilla off of people who are lured in by the benefits, but don’t know how to manage their money. Read more here about benefits. If you dream of being a “traveled-to-nine-countries-for-nine-dollars” travel hacker, get started! I used to think I had to research all the options, plan out which travel credit cards I was going to get, develop a huge strategy, and track tons of dates for fees and bonuses. All you have to do is pick a travel credit card that fits your situation and apply. That’s it. Just understand one travel card. Meet the minimum spend and get your bonus. Then you can think about taking on the next best travel credit card for you. Ignorance on this front kept me from taking action for years. Don’t be me! For most people, I recommend the Delta Amex Gold right now (April 2019). Why? If you can meet the minimum spend ($2,000 in 3 months), you earn 60,000 miles. That’s double what Delta normally offers. And one of the biggest bonuses in the industry, especially when you consider the low minimum spend. And Delta points can go a long way – as low as 10,000 per flight. Sometimes even lower. Waived annual fee the first year. Get it by May 1st, 2019. Do what I wish I’d done years ago – just get in the game, today. Then worry about learning every single nook and cranny of the travel hacking industry. If you wait until you know everything, you’ll either never start or you’ll miss out on years of free flights. Don’t be me! My two frequent flyer programs cDelta and United use between 7,000 and 12,500 miles for a one way flight. My three generic travel credit cards dBarclays and Chase use 10,000 miles/points for every $100 I spend on travel eUpdate: Chase now allows you to redeem at 1.25 value, so 10,000 miles would be worth $125 in travel. Most my travel is to obscure places, and cash flights to those locations are usually $350-$700. fI never buy those flights. I use Skyscanner to find way better deals. For our purposes here, $373 is the cash cost to my next destination. I can get there using 12,500 United or 7,000 Delta points. If I use my generic credit card “miles”, it will cost 37,300 points. Takeaway: unless the initial bonus is really amazing (+60,000 points), start your travel hacking by earning points that can be spent in frequent flyer programs – any of the Chase products, or any airline branded card. For most, Chase Sapphire Preferred is going to be the place to start. Earned your bonus? On a free-flights high? Want to keep racking up points? 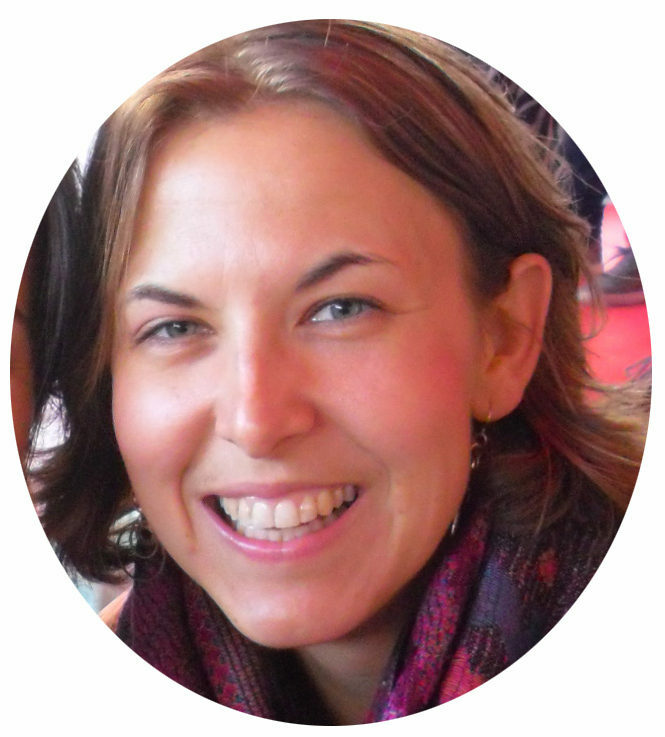 I just started following The Travel Sisters who turned me on to ways to earn tons of miles without spending a dime. Airlines’ frequent flyer programs have lists of other ways to earn points, e.g. these United opportunities. You can also sign up for Opinon Miles Club and get “miles for your thoughts.” Even just signing up and filling out the first survey gets you 300 miles. gAlthough, use your “spammy” email address or create a new account for this purpose, because they will email you EVERY DAY, and every survey you take will get that email onto yet another marketing list. If your miles connect to United or American Airlines, you can earn extra miles by booking your hotels through Agoda.com. Agoda is especially amazing for Asia: often has hotels I don’t find on any other platform. For budget options, you get a couple hundred miles. For swank places you get thousands – worth 10-20% of your next free flight! There are a million options, but don’t worry about that yet. Start with the big stuff, the good stuff, the low-hanging fruit – initial spending bonuses – and go from there! Do it now! The tropics are calling you! a. ↑ In the past 3 years I’ve done a United Mileage Plus Explorer, a Barclays Arrival Plus, a Delta Sky Miles Amex Gold, then Chase Sapphire Preferred and finally a Chase Sapphire Reserve – which is the top card if you travel regularly and will take advantage of the benefits. b. ↑ She hung out at a gas station asking people paying cash to let her charge their purchase to her card. f. ↑ I never buy those flights. I use Skyscanner to find way better deals. g. ↑ Although, use your “spammy” email address or create a new account for this purpose, because they will email you EVERY DAY, and every survey you take will get that email onto yet another marketing list.